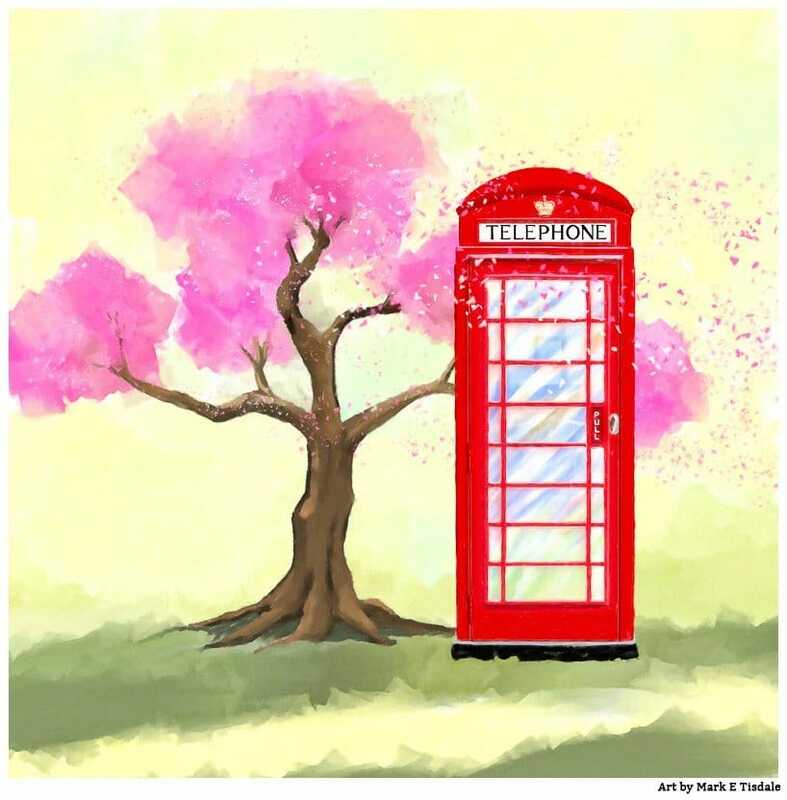 It’s sort of a running joke that when I share my red phone box art, I have to comment on the apparent obsession I have with them. I mean, if you look at the work I’ve done over the years, I think it’s a fairly diverse catalog from landscapes to architecture and beyond. But if there’s one subject I revisit again and again across the years, it’s the iconic red phone box. And I can’t really explain my apparent obsession with them. Long before I ever set foot on British soil, I had seen photos of them. I think the first may well have been photos from a European holiday enjoyed by my late uncle and his wife. I have very dim recollections of now vintage buses, cabs, and more. Could there have been a red phone box in the mix? I kind of bet there was! By the time I finally saw a red phone box in person, they were already a curiosity. We all had phones in our pockets, but it didn’t stop me from wanting to find one. 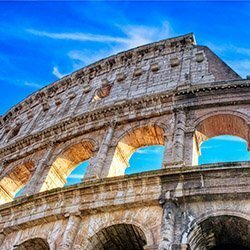 In fact, these novelties are still admired by many. In busy locations, there can be lines of tourists waiting to get a photo in or near a classic British phone booth, have no doubt! And it’s not just tourists that love them. 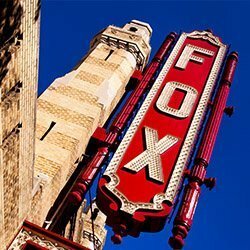 Many who grew up there look on them fondly. 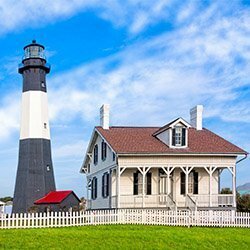 Nobody, of course, wants to give up the convenience of a cell phone, but there’s always the nagging feeling that a beautiful design from the past is fading from the landscape, too. Many of the surviving red phone boxes today are protected listed buildings. 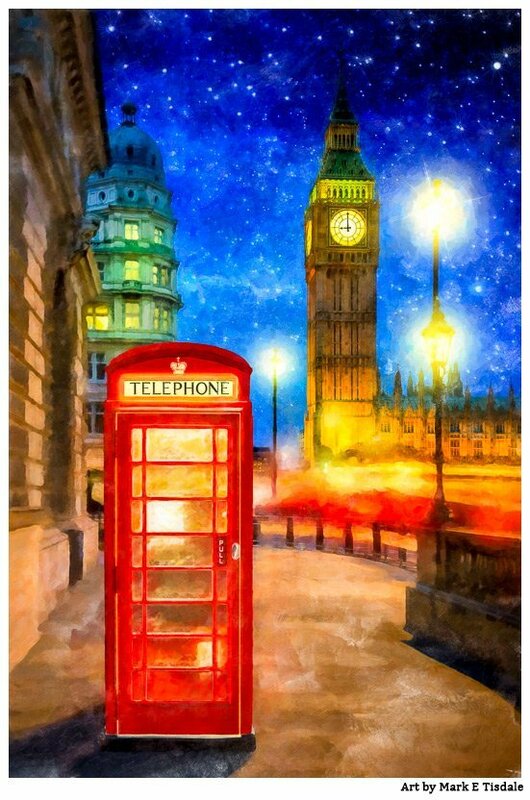 In fact the one near “Big Ben” as seen in my red phone box art print above is supposed to be one of the most photographed phone box in all of Britain. Long time followers of my journey as an artist have likely seen my oldest and most popular print. And yes, it’s a London red phone box, too. This London print has been around over a decade and remains a regular seller after all these years. If you wonder where I started an artist, look here. It’s not the first thing I ever did, but it was the first print I sold which gave me the confidence to keep plugging away. Obviously this London print has a special place in my heart. 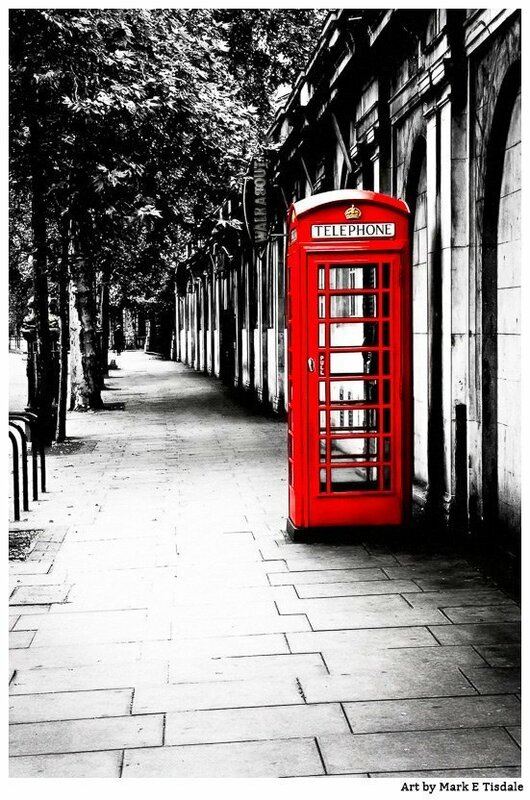 And even though I have limited wall space to display my own art, this red phone box black and white print has been a fixture on my walls for years and years now. And while there are other red phone box black and white prints out there, I think mine has its own charm. The lines from the wall and the sidewalk paving just pull the eye through the scene in a unique way. There’s a sense of depth that people often comment on when viewing this particular print. 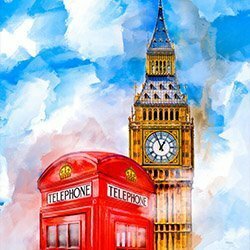 Of course, it’s not just London that’s the subject of my red phone box art. Even though there are fewer telephone boxes in Britain, you still find them up and down the country. I still fondly remember these on the Royal mile in lovely Edinburgh. And yes, more Edinburgh red phone boxes from the Royal Mile. 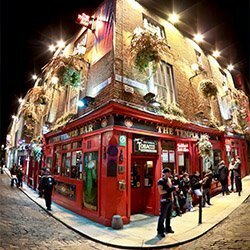 Best of all, Edinburgh’s old town has that old world charm in spades. A red phone box really fits in there and like the ones in London, some of them are considered historic structures. I think anyone who has wandered up and down the Royal Mile can appreciate these particular prints. The second one reminds me of many wet mornings going up hill to the castle to enjoy the sweeping views from the esplanade. 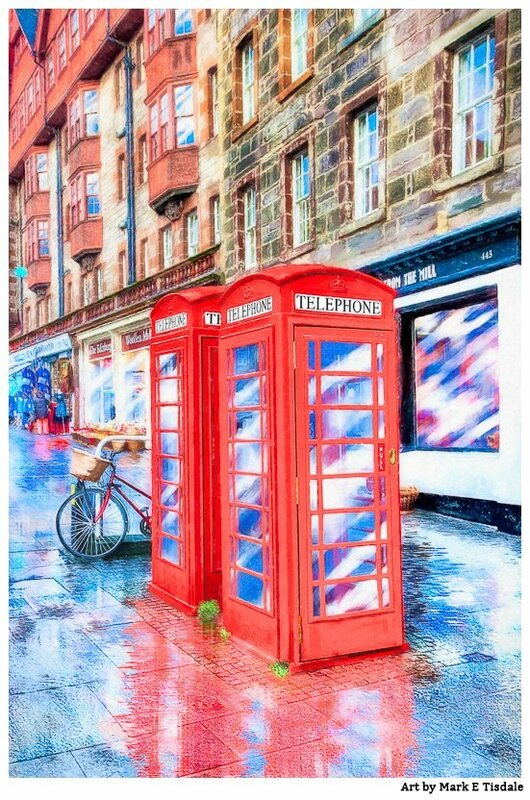 While some of my red phone box art features actual real world locations, I also have prints that are works of fantasy. 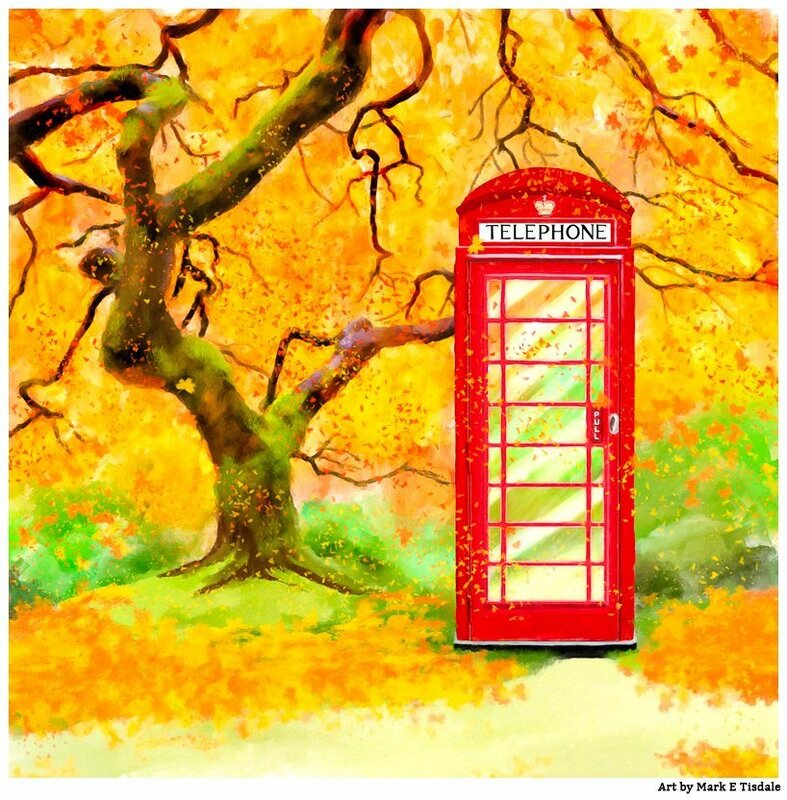 In fact, I recently completed a series of square prints featuring a telephone box through the seasons of the year. We’ll start with the spring one first! I have a hard time picking a favorite in this series. There’s something about each one that I love, but this red phone box spring artwork I like for it’s simplicity. A flowering cherry tree and the ubiquitous red telephone box are the only subjects. There’s something very zen about it, I think. What do you think? The next season I tackled was summer, and I never had any question what object I would pair with the red phone box in my summer artwork. When I think of summer in Britain, I think of the seaside and colorful beach huts. 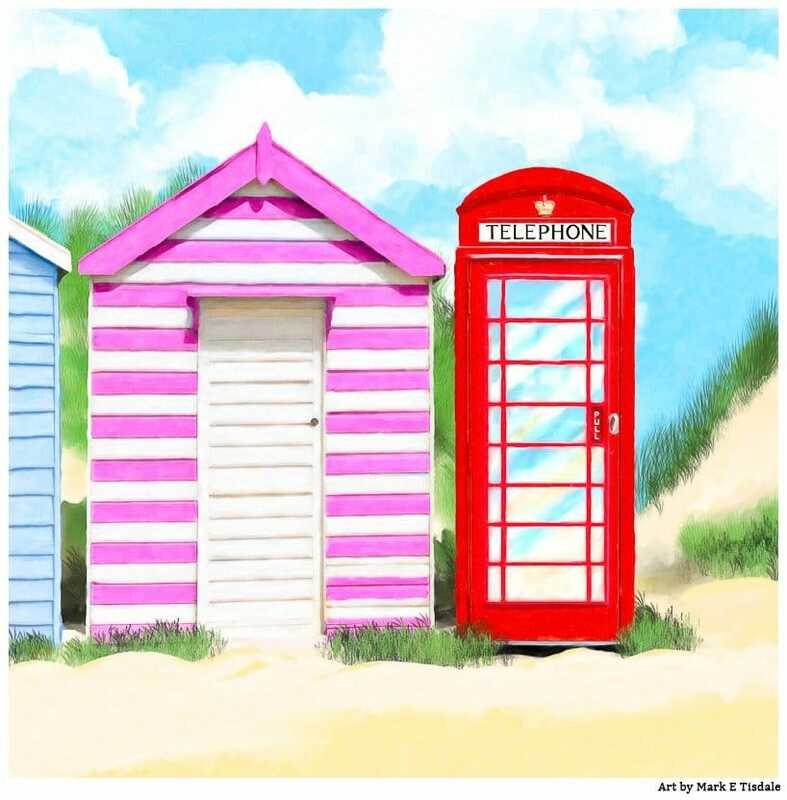 There are, of course, lots of ways to celebrate summer in Britain, but there was, as I said, never any question in my mind that my British summer artwork would feature a lovely old beach hut and a red phone box, of course. Of course, autumn follows summer when the leaves change color. When I think of the Autumn season, falling leaves come to mind. Fall as we more commonly call it in the states, is hands down one of my favorite seasons. Autumn is when I want to jump int he car and head to the mountains to see the leaves change, so this print of a red phone box with a showy fall color tree was a natural fit for the series of seasons. And last but not least of the seasons is winter. And this one was, perhaps the hardest for me to tackle. Now, you may wonder why this one was so hard. 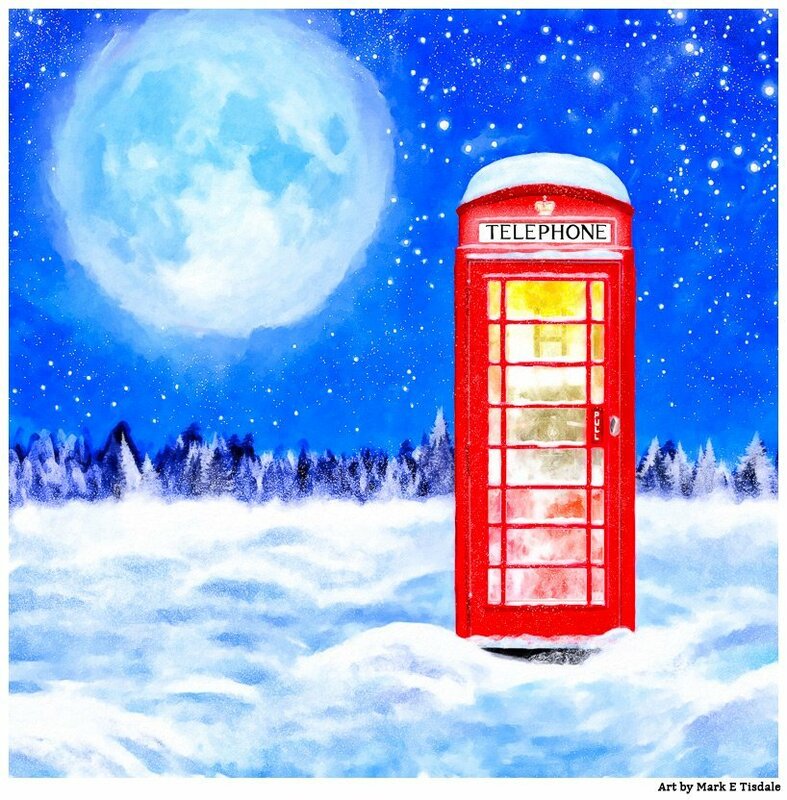 That’s because I’ve already done multiple Christmas season red phone box images before. These have been popular as British themed Christmas cards over the years. While I still wanted a red phone box covered in snow for this British winter print, I didn’t want it to be quite as Christmas-oriented. So, I paired it with the moon and the stars. After all, the moon glistening on fresh snow is definitely a wintry image, don’t you think? These four British season prints are also available on one large print for those who’d like to display the full series but not as individual prints. You can’t find that full series British season print in my shop here. 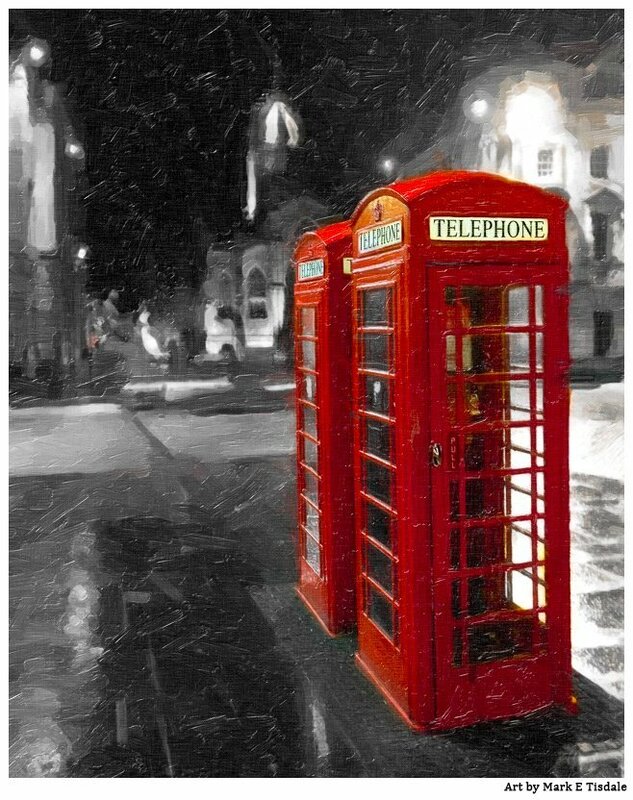 If you enjoy these my work is available as red phone box canvas prints, framed prints, ready to frame paper prints, and more. You can see these and more in my shop so I hope you’ll check them out if you, too, are a red phone box fanatic like me. And please be sure to stop and share your thoughts. What is it about red phone boxes that brightens your day? Simply sentimental or is there more to your story?  And if you have any questions about my art or requests, please ask in the comments or send me a message.